What Kevin Systrom and Mike Krieger had in mind when they created Burbn, was an online mobile photo-sharing and social networking service. 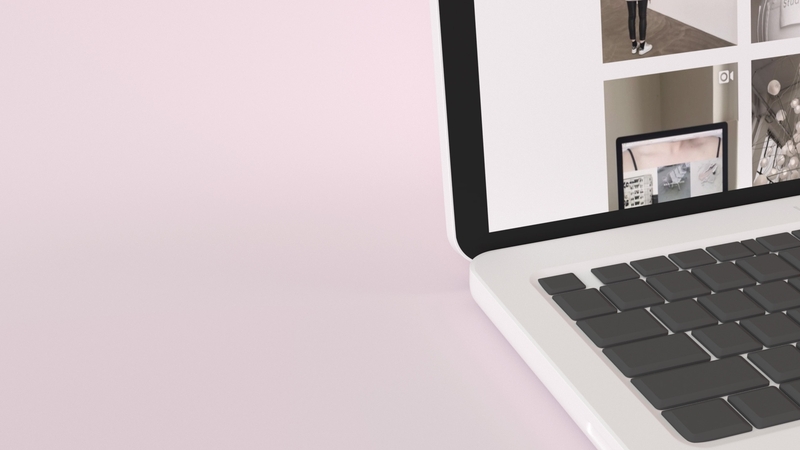 Now, only few use it like it was originally intended – over its 5 years of existence Instagram has experienced a shift from being a platform for „altruistic“ (or better: unintentional) picture-sharing to a intentionally curated image platform with strong connections to eCommerce (cooperations, paid posts etc). The line between brands, semi-professional profiles and personal profiles has vanished almost completely (compare users cosstores, louiseamelie and artandamentia). What remains most of the time is a conceptual feed, where users are presenting the product – mostly themselves – to their followers. 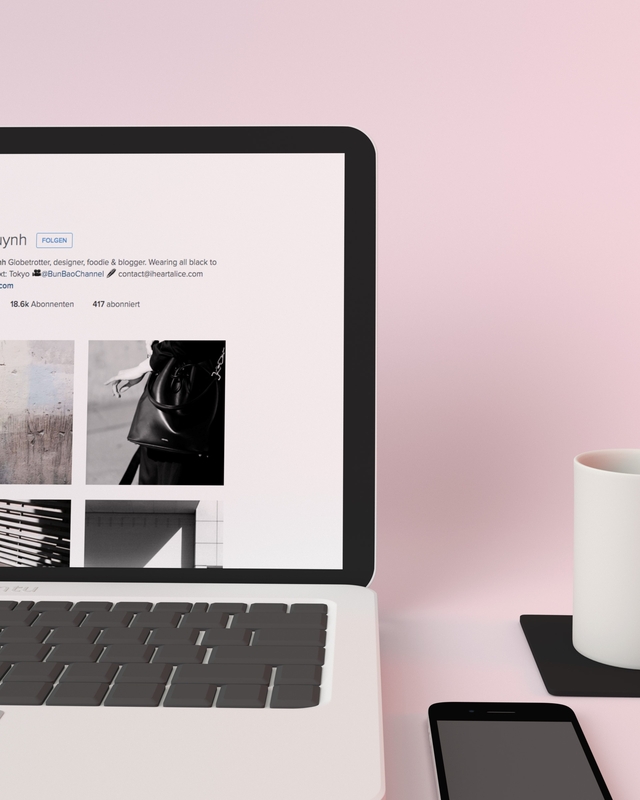 Whether general minimalist, vegan fashion guru like Jenny Mustard or fashion designer and traveller such as Alice Huynh – it doesn’t really matter what specific topic your profile or feed is about. As long as the concept of your brand (your simplified personality) is still easy „to get“ for most users, your amount of followers is likely to be increased. In general, the users of Instagram tend to like profiles that set up certain visual rules and thereby guarantee a steady flow of pictures of equal visual quality. Whether you have a specific way of editing your photographs or a certain kind of staging your visual work, people are more likely to follow you if your picture has your own unique imprint and a consistent style of content-presentation. 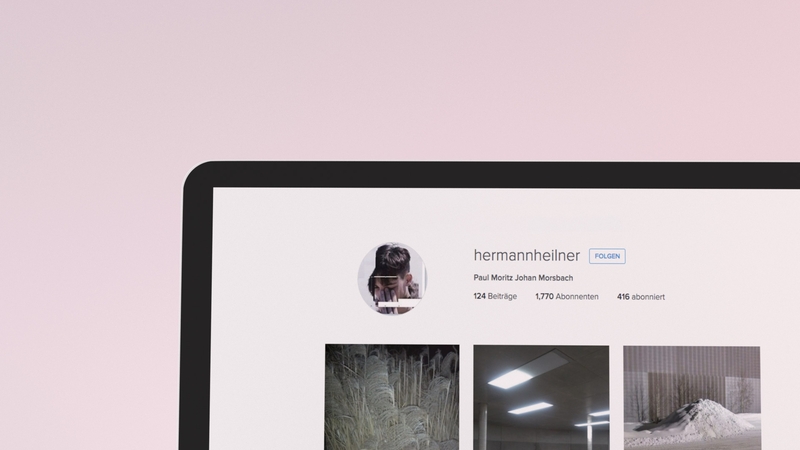 The typical process of an instagram history is always a search for specific visual rules or even an online „personality“ (if you haven’t set it up before that is). After a while, most profiles can thus be identified easily by their specific color palettes/angles/presentation style. First level: Only photographic/CGI/3D/typographic/etc work allowed. This form of restriction is obvious. Second level: Compositing and grading. Some choose clear color palettes, for example the account hermannheilner, others only use a certain filter or have a unique color scheme (e.g., „minimalist“ Ivana Carpio of love_aesthetics), some always use white borders around their images. Third level: A mixed set of rules. Some profiles limit themselves to only black and white pictures and one, two, three or more specific filters, some put an emphasis on real photos and add a graphic/typography/cgi picture (or vice versa) every ten posts. The goal is to ensure a continuous flow of pictures that clearly communicate who their creator is. By doing so, their followers will eventually relate a certain „style of editing“ with certain profiles. At this point it is interesting to have a look at all the people who have become famous outside of Instagram (musicians, people from pop-culture). They are the ones who don’t need to follow strict visual rules and whose feed looks rather mixed and spontaneous (see Kylie Jenner). Is there a certain point of „non-digital fame“ where you can break free from those restrictions, because you yourself have finally become the brand? And, if yes, when does it happen? And where would be the point where a willingly un-aesthetic feed would lead to less followers EVEN if you are famous, e.g., Miley Cyrus’ feed.